The Toyota Camry has a history of dependability and overall excellence, which is why it has become one of the most well-loved sedans in Avon, Indianapolis, and Plainfield. Now that the Camry is all-new for 2018, drivers can expect to be even more impressed with this incredible vehicle. Sporty, stylish, and more well-equipped than ever before, there’s a lot to love about this all-new sedan. To help you get to know it a little better, check out this review by Andy Mohr Toyota for everything you need to know about the 2018 Toyota Camry. Sleeker and bolder, drivers will know that the 2018 Toyota Camry is full of attitude with just one look. For the latest model year, the brand has taken the sedan’s already impressive design and made it even better. This year’s model was engineered with a curvier yet more chiseled body, as well as a new aggressive front grille that will easily be noticed. Plus, with a dual exhaust with quad chrome tips, a lower roofline, and bold character lines, the Camry is sportier than ever before. The 2018 Toyota Camry also includes an updated interior that looks incredibly sporty thanks to its cockpit-like design and futuristic styling. In addition to that, it comes with brand-new front seats. Redesigned to ensure optimum comfort, these seats offer enhanced ergonomics for added support during those long car rides. The Toyota Camry has always been an innovative sedan, but this year’s model features even more amenities for you to enjoy. 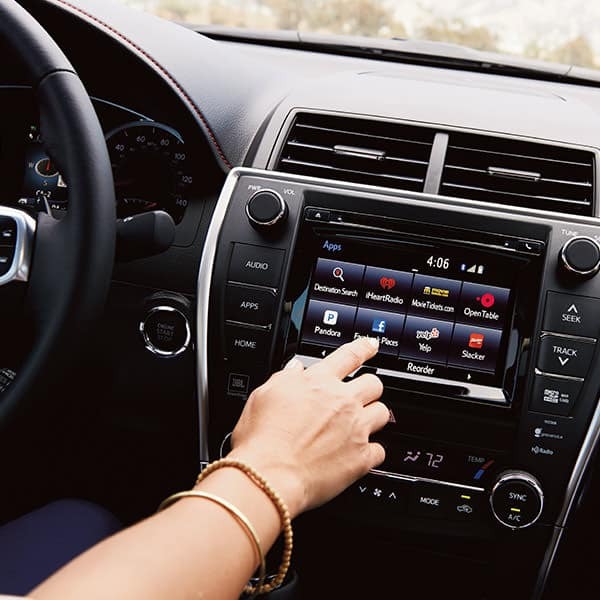 This includes the new Entune™ 3.0 Multimedia infotainment system. Complete with mobile apps, Connected Navigation Scout® GPS Link with Moving Maps, and 4G LTE Wi-Fi Connect, this advanced piece of technology will keep you connected every time you get behind the wheel. On top of that, the new Entune™ system comes with Remote Connect, a convenient feature that gives you access to tons of remote services. This includes remote start, door unlock capability, vehicle status notification, guest driver monitor, and vehicle finder. The 2018 Toyota Camry is also equipped with an array of safety features, like Toyota Safety Sense™ P. Now a standard package for 2018, Toyota Safety Sense™ P will help you experience a safer and more dependable ride, no matter which Camry trim you choose. Certain trims will also come with a standard Blind Spot Monitor and Rear Cross Traffic Braking System for enhanced peace of mind. In terms of performance, the 2018 Toyota Camry is equipped with three new powertrains. The first is the standard 2.5L 4-cylinder Dynamic Force engine. Designed to produce incredible power and practical fuel economy, this motor can generate 206 horsepower and up to an EPA-estimated 41 MPG highway*. If you want more power, opt for the 3.5L V6 engine that gets 301 horsepower. Both engines are paired with a new Direct Shift eight-speed automatic transmission. Compared to last year’s system, this transmission offers improved acceleration, smoother shifts, and great fuel economy. If you’re searching for something a little more efficient, the Toyota Camry Hybrid has returned for 2018, as well, and it comes with a new and more advanced Toyota Hybrid System. With the Dynamic Force engine, an electric motor, and an intuitive Continuously Variable Transmission, the 2018 Toyota Camry Hybrid get up to an EPA-estimated 53 MPG highway*. The Toyota Camry has always been pretty impressive, but its 2018 model is taking the vehicle to a whole new level with more power, more features, and an even better fuel economy. 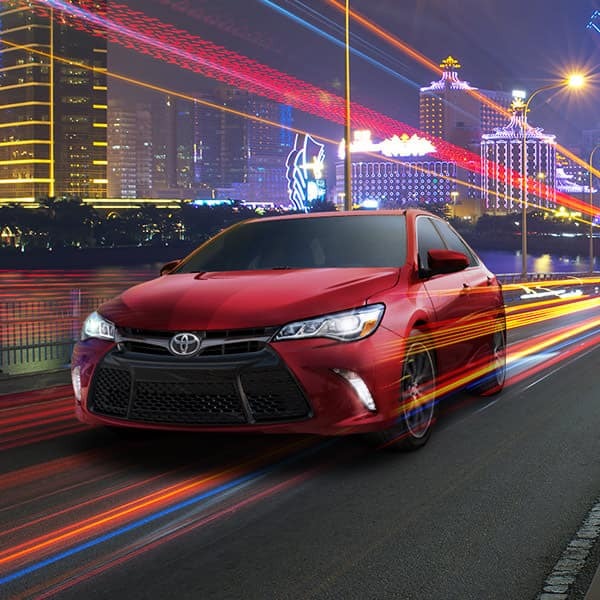 It’s an outstanding sedan for all types of drivers in Avon, Indianapolis, and Plainfield, and if you’d like to check it out for yourself, just schedule a test drive at Andy Mohr Toyota!